The Dawson Competition +1 follower for STI/SV magazines is designed to increase capacity and improve reliability. The anti-roll design ensures the follower stays on the spring. It won't lock back the slide when you don't want it to. 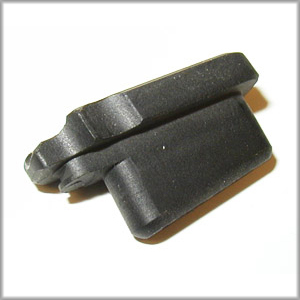 The follower fits most standard magazine springs (excluding Grams), and is available for 40 S&W/45 ACP and 38 Super calibers.